The population in Williston is expected to increase 23 percent by 2022, and infrastructure and resources continue to adapt. 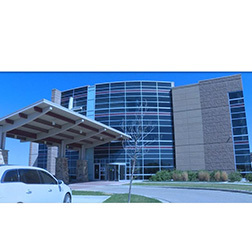 The community has seen a surge in births since 2012, and to meet the demand, CHI St Alexius announced last week the expansion and transformation of its outpatient birthing center into an inpatient facility. Once open, the new birthing center will provide greater options to residents. The economic development of our region continues to evolve. One area where the demand has stayed high is child birth. CHI St. Alexius administrators say they knew back in 2011 that the future looked bright and began taking steps to keep up. A brand new state of the art outpatient birthing center was constructed and ready for business. But a year later, it was already closed. The next plan of action was to turn the center into an inpatient facility. The process took longer than expected with building guidelines changing. CHI says it worked closely with the North Dakota Department of Health to meet all standards and back in December, the hospital was notified of approval to start hiring contractors. CHI has been reporting around 70 births a month, so the new birthing center can't come soon enough. "So the timing's right for us to do this now. We are going to be situated in a very good place to meet the demand as previously, we were not," Bjerknes said. The oil boom has been eye-opening for CHI as a whole. "Lot of lessons learned in terms of recruitment, training, retention, and really building a cohesive labor and delivery team," Bjerknes said. Those lessons and the resources gained will limit the need to transport patients to other facilities. In addition, the new changes will mean the OB unit is centralized so that emergency procedures such as C-sections no longer require the patient be moved to another part of the hospital. "These nurses now will be able to follow moms from labor and delivery to the C-section and back so that they have a team of nurses instead of different teams working with them," Bjerknes said. Over the years, the funding needed to complete the project has almost tripled. Recently, the Williston City Commission approved up to $50,000 from the STAR Fund program to assist in the $3 million project completion. "The money is great, but what it does for us here is give us a boost of confidence and that the community is backing us in this project," Bjerknes added. Construction is expected to start on June 11 and should take 4 to 5 months. "Our goal is to have some Christmas babies in 2018," Bjerknes said. The additional services will take St. Alexius from a level one care center to a level two, which means they will be able to provide more comprehensive care for children facing obstacles at birth.